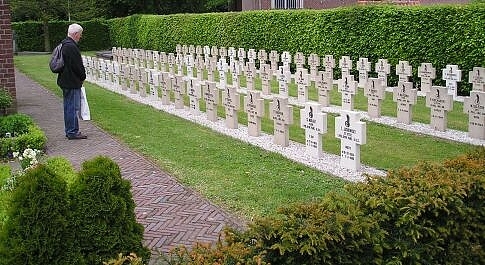 Polish plot in the General Cemetery on Vogelenzanglaan at the town of Ginneken, Breda. On the eve of the liberation of the town of Breda, on the 28th of October 1944, a patrol of the Polish 9th Infantry Battalion penetrated the centre of a town-district, called Ginneken. In a heavy fire-fight the Germans used self-propelled artillery. Some Polish soldiers were killed and many wounded. 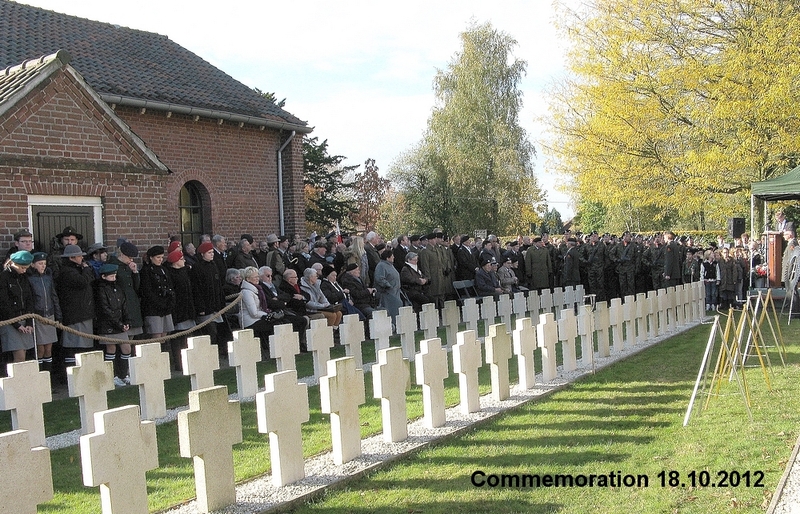 The next day, father Bronisław Chrostowski, the army-chaplain of the 9th Infantry Battalion, asked the Reverend Eduard Doens, parish-priest, to be allowed to celebrate a funeral-service and to bury the killed soldiers on the parish churchyard, situated in the Vogelenzanglaan. The Fathers Doens & Chrostowski got on very well with each other and till the departure of the 1st Polish Armoured Division on Good Friday 1945, the army-chaplain remained quartered in the presbytery at Ginneken. Almost all the soldiers of the 9th Infantry Battalion, who were killed during this period, were buried by army-chaplain Chrostowski on "the Laurens parish" churchyard at Ginneken. Together 80 killed Poles are resting there now. After the liberation the municipality of Breda initiated the idea to found a Polish War Cemetery and to concentrate all Polish wargraves there. The Ginneken population, however, refused to hand over "their" graves. Every year, roundabout the 29th of October, the inhabitants of Ginneken commemorate their fallen liberators with an impressive ceremony.